Updated: More Percy Jackson: Sea Of Monsters character posters, but this time they do look like they come from The Hunger Games. As I am telling you about earlier, the marketing surge for Percy Jackson: Sea of Monsters is on. After maybe attaining some remarks about the similarities with The Hunger Games and The Mortal Instruments: City of Bones posters, the team behind the movie decided to give it another try. And this time I think they have it. These four new character posters featuring Percy Jackson, Annabeth Chase, Grover Underwood and Tyson, standing at the entrance or gate of Camp Half-Blood, do now look a little too original and I bet detractors won't have anything to compare it with. Which of these four Percy Jackson: Sea of Monsters characters are you most excited to see in the wide screen? 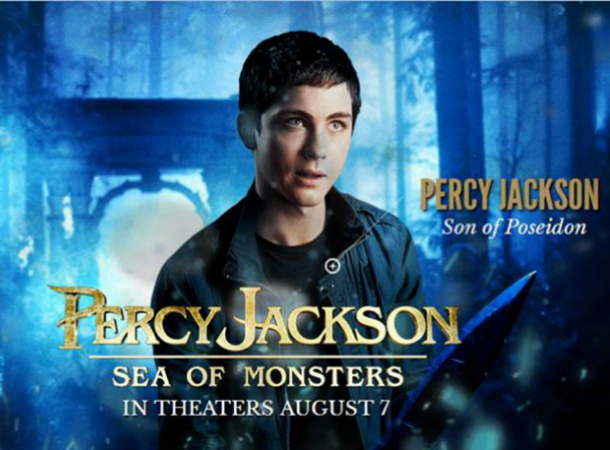 Percy Jackson: Sea of Monsters will be released in cinemas on August 7, 2013.